Some time ago, I made a recipe with sumac, but didn’t write down the measurements. 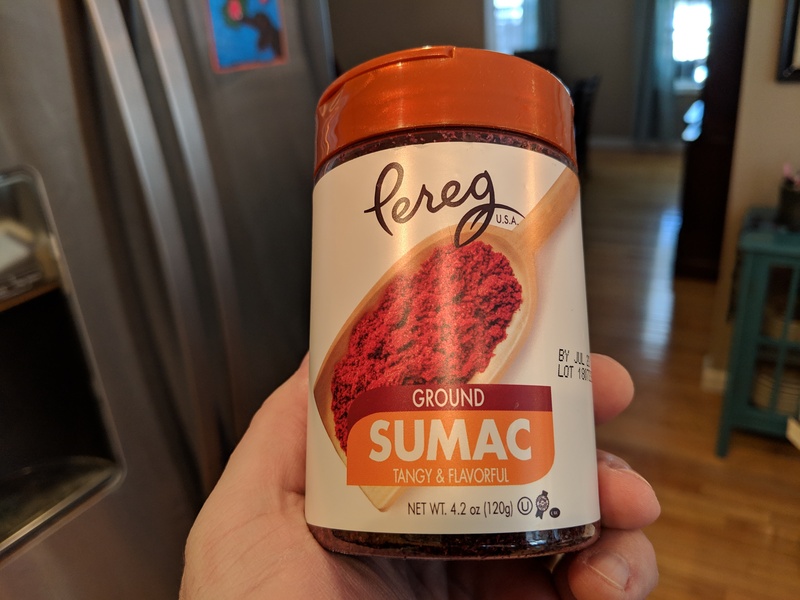 While perusing the aisles in Fresh Market, I saw a container of sumac and thought I’d revisit the idea. Not only for the flavor, but because purple pretty much rules. 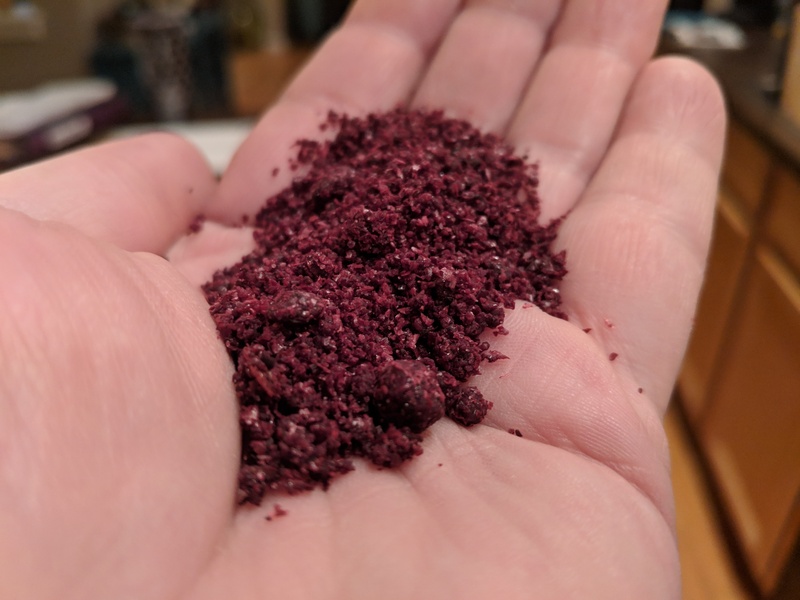 The finished product has a subtle pinkish purple crumb with a fresh, almost fruity, flavor. 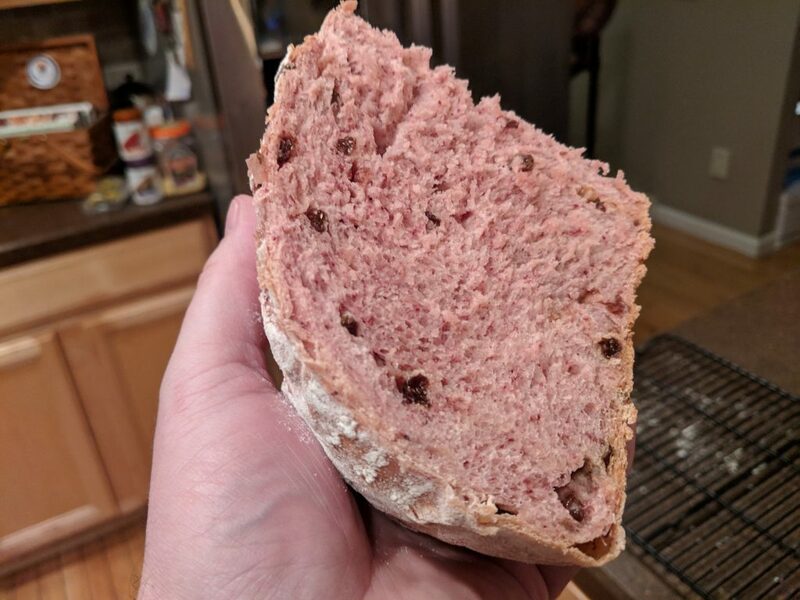 I might add a bit more sumac next time – just to see what the impact on the flavor would be. And, if I didn’t have currants, I think golden raisins would be a tasty substitute. 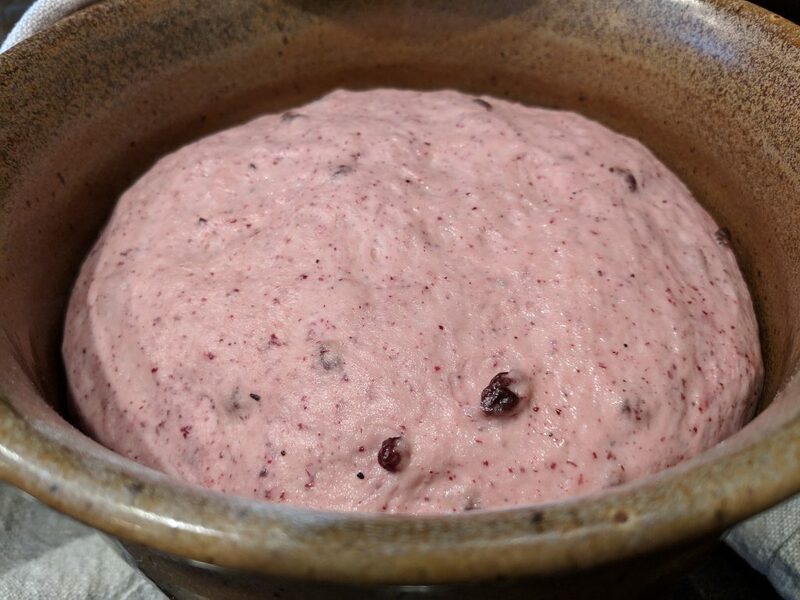 In a small bowl, stir yeast and sugar into ½ cup water to soften. 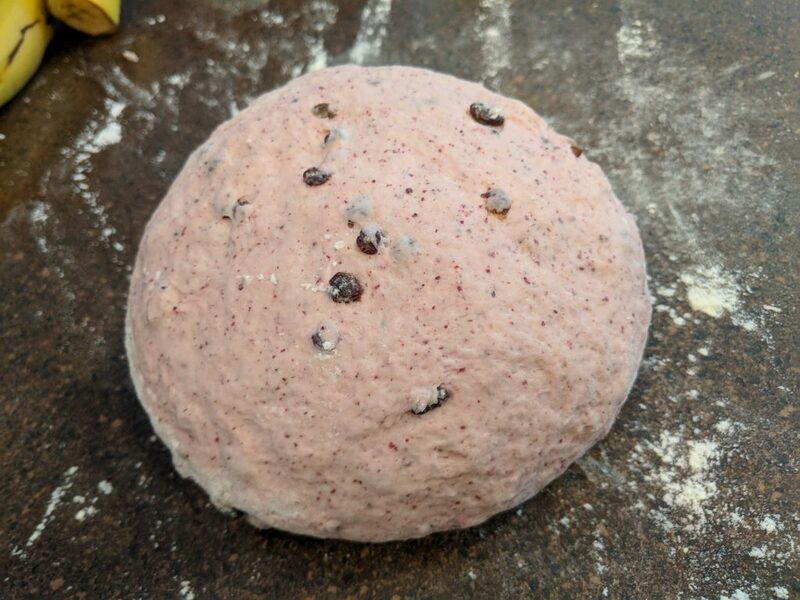 Combine 4 cups of flour, salt, sumac, and currants in a large bowl. Add the yeast mixture and the rest of the water. Mix well adding more flour or water as necessary. 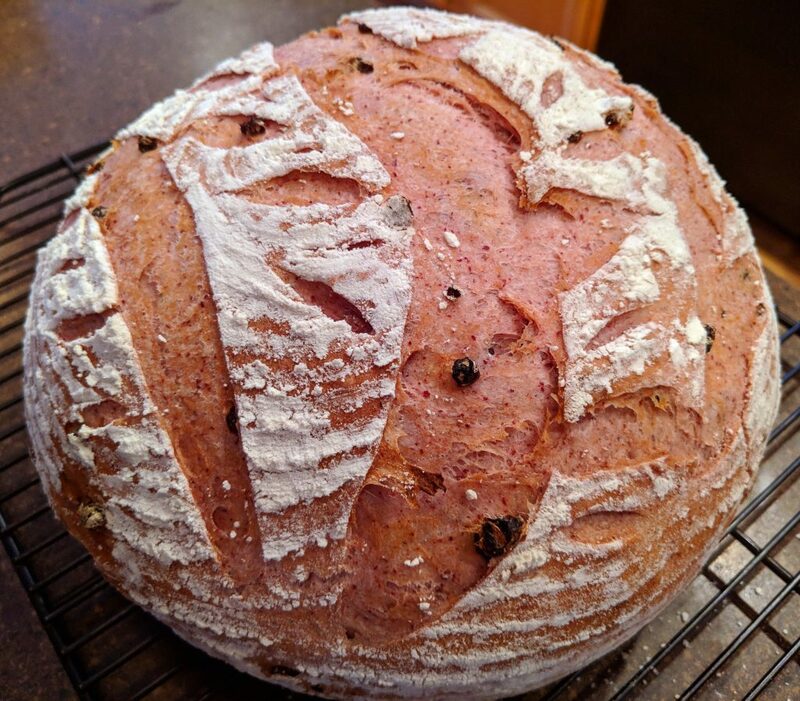 When ready to bake, take the cloche base out of the oven and put it on the stove. Place a circular cut of parchment paper in the base of the cloche (or sprinkle the base with corn meal or semolina flour). 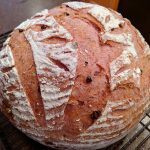 Gently turn the dough onto the cloche base and score the top of the loaf in fancy patterns with a sharp knife. Place the cloche into the oven. Cover with the cloche lid. Bake for 20 minutes and then turn the temperature down to 400 degrees. Bake for 15 more minutes and then take the cloche lid off. Bake for another 10-15 minutes or until the crust is golden brown.